This year, 2018, I have been aiming to post a Q & A with a fellow writer, poet and/or translator on the fourth Monday of the month. This usually happens! 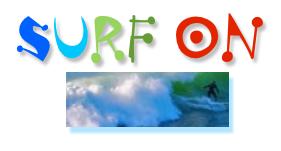 This month however I am posting two Q & As-- this third Monday, and another for the fourth. The Internet invites us be everywhere allwhen, so it seems, but in ye olde 3D meatspace, I have a habit of attempting to be in three places at the same time. (I leave all other impossible things for before breakfast!) One of those places is California, because that's where my mother was living, and in recent years I flew out there from Mexico City to see her more times than I can count. Initially, when I realized I needed to go more often, I imagined that I could attend literary gatherings while in California, so I joined the San Francisco chapter of the Women's National Book Association, an organization I warmly supported in the years I was living in Washington DC. Alas --(those with elderly parents will smile sadly with understanding)-- I never could make it to a meeting. But I did read the SF WNBA newsletters and announcements, including news of Mary Mackey's books. Her latest, The Jaguars That Prowl Our Dreams, a collection of her poetry from 1974 - 2018, promises to be an especially rich read. 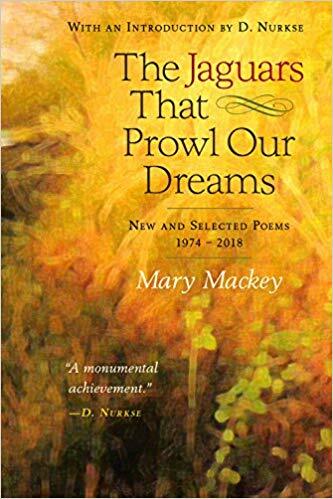 Mary Mackey is the author of a multitude of award-winning poetry collections, novels and more. Read about her distinguished career, and the unusual and highly original nature of her works, here. Though we have yet to meet in California, here we are, at least, on the same page in cyberspace: via email, Mary Mackey graciously answered several of my questions about her work. May you, dear extra curious and adventurous writerly reader, find her answers as fascinating and inspiring as I did. 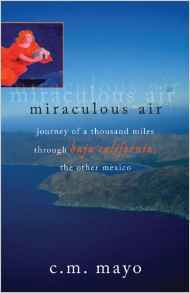 Mary Mackey writes of life, death, love, and passion with intensity and grace. Her poems are hugely imaginative and multi-layered. Part One contains forty-eight new poems including twenty-one set in Western Kentucky from 1742 to 1975; and twenty-six unified by an exploration of the tropical jungle outside and within us, plus a surreal and sometimes hallucinatory appreciation of the visionary power of fever. 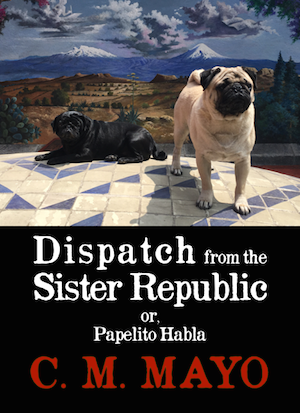 Part Two offers the reader seventy-eight poems drawn from Mackey's seven previous collections including Sugar Zone, winner of the 2012 Oakland PEN Josephine Miles Award for Literary Excellence. 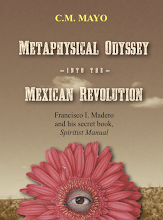 Read a selection of her poems, including "The Jaguars That Prowl Our Dreams," on her website. C.M. MAYO: How might you describe the ideal reader for The Jaguars That Prowl Our Dreams? 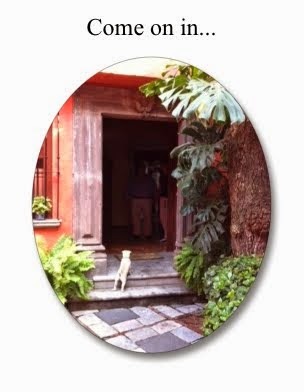 MARY MACKEY: As Maxine Hong Kingston observed, my poetry has “extraordinary range.” I write for readers who love the mystical, visionary poetry of Mirabai, Blake, Pablo Neruda, and Saint John of the the Cross; for readers who want to step into the heart of our disappearing tropical jungles; for women struggling against sexual harassment. My ideal reader hates to be preached to and doesn’t like poems that are obscure—academic poems that read like puzzles. Instead, my ideal reader loves beautiful, well-crafted, complex, profound poetry that can be understood on many levels. My ideal reader also likes to laugh because some of my poems are very funny. 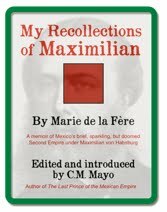 C.M.MAYO: What was the most important challenge for you in selecting poems from your now very substantial ouevre? 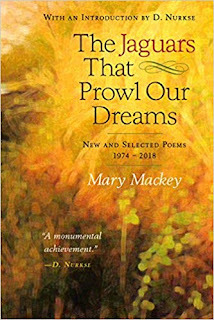 MARY MACKEY: When I started selecting, I came up with 280 poems which, when combined with the 48 new poems in Jaguars, would have resulted in a book the size of a cinder block. No poet writes 280 great poems, so I started culling. I ended up with 78 of my very best poems. Not one has a line I don’t like; not one is a second choice. Another challenge was to make sure the poems I picked had stood the test of time, since some were written as early as 1974. Some didn’t, but to my amazement several I wrote in the early seventies as part of the Second Wave women’s movement read as if they had been written today. C.M. MAYO: In the process of selecting the poems, did you see your development as a poet in a new light? Are your poems very different now, and if so, how? MARY MACKEY: I didn’t see my poetry in a new light as I went over my previous collections, and although my poems are different in content, they are not different in essence. My poetry has always had an inward and an outward stroke. That is to say, it has always been both highly personal and highly engaged with what is happening in the world. I don’t preach. I don’t tell people what to do. I think it’s the duty of a poet to bear witness to her times, and that’s what I have done for over 40 years: bear witness. Right now I am not writing for those of us who are alive in 2018. I am writing for future generations who will never see a live elephant, a tropical jungle, or a healthy coral reef. I am writing poems to tell them how beautiful our Earth was and what parts of it we are losing due to climate change. That said, I did discover some changes in my poetry over the years. My lines grew longer, as if I were not as rushed. I married happily and so wrote fewer sad love poems. I fell in love with Portuguese and incorporated some Portuguese words in my last four collections. In 2011, I began to speak openly about the fact that I have run a number of life-threatening fevers (often near 107 degrees) and began to write poems about the visions and fever-induced hallucinations I had during these near-death experiences. C.M. MAYO: You have been a consistently productive poet and writer for many years. How has the digital revolution affected your writing? Specifically, has it become more challenging to stay focused with the siren calls of email, texting, blogs, online newspapers and magazines, social media, and such? If so, do you have some tips and tricks you might be able to share? MARY MACKEY: I’ve been using computers since the early 80’s, so the Digital Revolution did not come as a surprise. It hasn’t affected my writing, but, like all writers these days, I have to spend time on social media that I would have otherwise spent writing, so I ration my online time carefully. To write poetry, to create anything, you need long periods of silence and intense concentration. You need to be able to hear your inner voice. You can’t do this if you are always checking your phone. My solution is rigorous compartmentalization. I set aside times to write and times to do social media. When I am writing, my phone is off, my browser is closed, and I am completely and absolutely focused on my writing or on the essential daydreaming that precedes writing. When I am doing social media, I am absolutely focused on social media. The two don’t bleed over into one another. I also add a third element: time in the real world with physically present people. I write or do social media for about 5 hours a day beginning in the morning. Then I stop, turn off my computer, and see friends and family, take long walks, talk to strangers, look at the stars or watch an ant or a sparrow. In the evenings, I usually read instead of watching Netflix or something on cable, because I’ve had enough screen time for the day. MARY MACKEY: When I started writing, paper was the only option. I still write out the first drafts of my poems in cursive in a special journal because I don’t like to have any technical interface between me and my imagination, nor any temptation to look something up in the initial moments of inspiration. I write freely without thinking about quality or organization. I let my hand and my mind wander. Then I transfer the result to my laptop and begin a rigorous process of cutting, improving, altering, editing, and crafting the final poem. I have taken a 4 page poem, written out in almost unreadable script, and transformed it into a polished, poem of three lines. I should mention here that I am also the author of fourteen novels. Paper figures big in this part of my writing life. I wrote my first novel out in cursive in a notebook in the Scandinavian statistics section of the University of Chicago Library (a place where you could be sure no one would appear to interrupt you). I wrote the second on a manual typewriter; the third on an IBM Correcting Selectric typewriter, and the fourth on a computer so primitive it didn’t have a hard drive. I’ve used computers ever since for my subsequent ten novels, but at the end of each day, I print out all additions and changes, because I like to have hard copies of my work. I find it easier to edit hard copy, because you can see an entire page and move back and forth more easily. Also you can actually see what you’ve crossed out in case you want to change your mind. You can’t do this with deleted text. Then too, if the Internet goes down, my backups get stolen, my hard drive goes up in smoke, my passwords are compromised, the cloud is hacked, or my computer gets invaded with ransom ware, I have hard copy. C.M. MAYO: Your papers are archived in the Sophia Smith Special Collections Library, Smith College, Northampton, MA and your website offers a "Guide to Women Writers Archives." 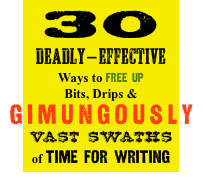 https://marymackey.com/educators/guide-to-women-writers-archives/ . As a writer with an archive myself and as one who has made grateful use of many archives over the years --and one also keenly aware of how many valuable collections of papers, alas, end up lost— I am especially interested to know: How did this come about? MARY MACKEY: It took me fifteen years to get up the courage to try to place my literary papers, because like so many women, I thought no one would want them. Imagine my surprise when I finally sent out emails and got almost immediate replies from nine universities who not only wanted my work, but offered to pay me substantial sums for my archives. I ended turning down monetary offers and donating my archives to Smith College, because they are dedicated to preserving the archives of women writers and the history of women. I’m not an alumna of Smith. I went to Harvard, but I didn’t donate my papers to Harvard because the university wouldn’t let me use Lamont, the Harvard undergraduate library, when I was a student there. In fact, until 1967, no women could enter Lamont. The guards at the door even turned away Ruth Bader Ginsburg. After my experience with archiving, I decided to help women writers and artists archive their work. I have also helped men, but my focus has been on women, because if you tell a women about archiving, she will invariably say: “No one will want my papers. There’s no use trying.” In contrast, a man will say: “No one will want my papers, but I might as well give it a try.” I tell women that I want our history to be written on stone, not on water. I don’t archive their work for them, but I give them a packet of instructions on how to do it, encourage them to give it a try, tell them my own story of being timid and uncertain, and remind them that they can only control what goes into their archives while they are still alive. When they have successfully placed their papers, I list them on my website in my Guide To Women Writers’ Archives, congratulate them on my Facebook Page, and congratulate them again in my quarterly newsletter. C.M. MAYO: What's next for you as a poet and as a writer? MARY MACKEY: Right now I’m working on a plot outline for the final book in a series of novels about the Goddess-worshiping peoples of Neolithic Europe and their struggle to fight off Sky-worshiping, patriarchal invaders from the steppes. These novels are based on the research of archaeologist and UCLA Professor Marija Gimbutas who helped me with the first two novels in the series. I’m also working on a series of visionary poems with the working title “Cassandra.” I think Cassandra is the perfect spokeswoman for our era. She saw the future, but when she tried to warn people that disaster was coming, no one believed her. >> Your comments are always welcome. Write to me here. "Research Must Serve the Writer, Not the Other Way Around"